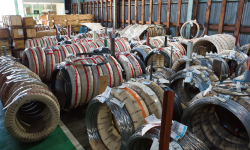 We keep an ample stock of 3,000 standard products in our logistics system that can provide instant delivery. To date, we have managed 30,000 custom items. No matter how the times change, we believe that the basic point of business is trust between the supplier and the customer. 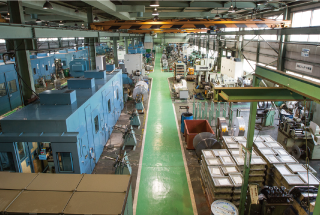 At Taiyo Stainless Spring, we conduct sales in cooperation with engineering, and draw out product needs with our customers. We are convinced that our face to face business style can answer the various needs of all our customers accurately and promptly and provide high quality service. 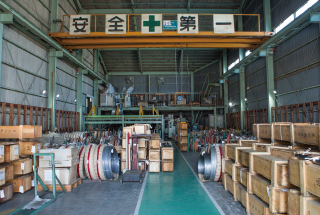 At Taiyo Stainless Spring, we carry out everything from material procurement to manufacture, delivery, and logistics. 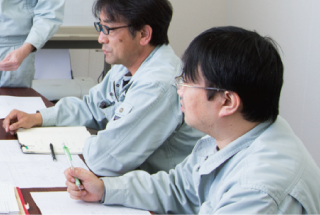 We have established a production system that answers customer’s needs with a network that takes advantage of 5 domestic manufacturing bases in Japan. We deliver high quality products faster than any other company. We also provide environmental-friendly products, products that are useful for safety and security. A material procurement with market trends in mind, we manage ample stocks. 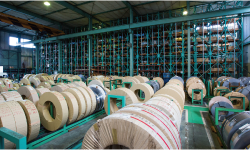 An additional processing according to our specifications can be carried out in-house through procurement of base materials. 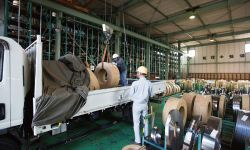 Our robust pipeline with material manufacturers also leads to shortening of production lead time with stress-free material acquisition.